The long winter hiatus is over and Supernatural is back to make us laugh and cry, usually within the same episode. When last we left our heroes, Kevin had died at Gadreel!Sam’s hands, Dean was having an emotional breakdown, and baby brother Winchester was in the wind. How Dean was going to get Sam back has been the question over the holidays and now we have our answer, along with a whole bunch of conflicting feelings. 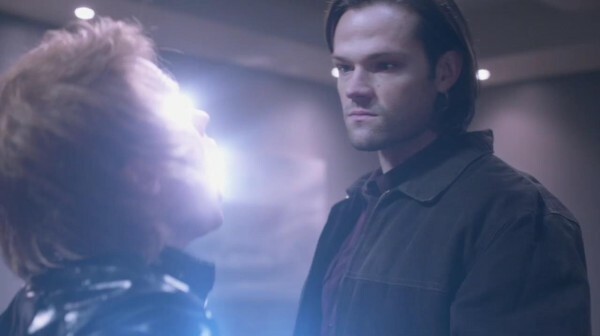 We picked up with the “Road So Far” montage, as is tradition, but the quick summary could be “Dean’s messed up, Sam’s messed up, the world’s messed up.” Isn’t that always the way? 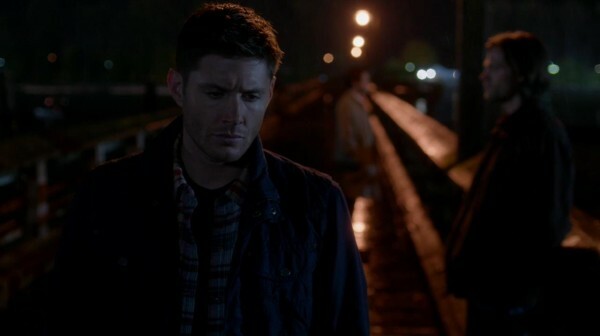 In Dean’s case, he’s walking an emotional tightrope of guilt over what he’s done. Sam was tricked into becoming possessed by an angel, unbeknownst to him, who turned out to be not the heavenly godsend he pretended to be. 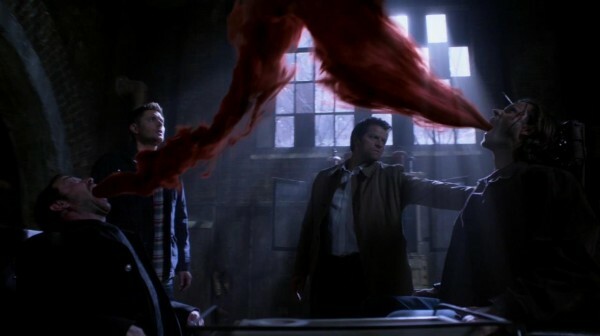 And now Kevin, their adopted brother in arms, has died as a result of Dean’s choice, while Sam’s body is off slaying more people by Metatron’s orders. It’s a bit problematic. After giving Kevin a proper hunter’s funeral and having a total breakdown, where Dean trashed the Batcave library, he got focused on what comes next. He has to get Sam back, by any means necessary, and if that means grabbing Cas and Crowley and going on a little road trip, then so be it. 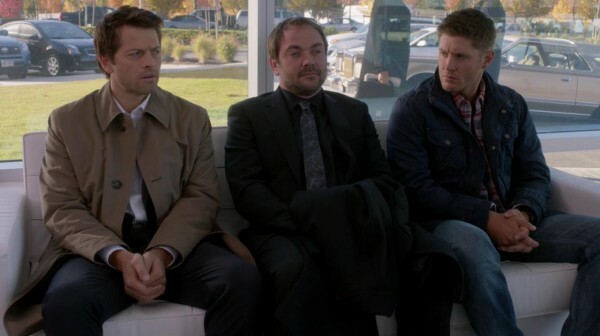 An angel and a demon in the back seat is a recipe for disaster and comedic moments, but that’s okay. We needed a little levity before the sobbing began. Gadreel!Sam has been interesting to watch, after the revelation of who he was. Here is an angel who wants to redeem himself after being saddled with the blame of causing all the evil that has transpired in the world and serving his long, long sentence in prison. Now he’s trying to gain favor with Metatron in order to serve the new heavenly structure, but at what cost will his devotion come? He’s a good soldier, willing to kill as per Metatron’s wishes. Kevin he had no emotional ties to, and Thaddeus he was more than willing to kill considering he had been both guard and torturer during Gadreel’s imprisonment, but it was when he slayed his best friend Abner that we knew how far he had gone in his attempt to find favor. No matter what the cost, he wants to be redeemed, and that means he’s going to have a lot of blood on his hands before this is all over. In order for Dean to get his brother back, he had to trust Crowley. And, in fine form, the demon got the upper hand and his freedom as a result. The thing with Crowley is that he will play whatever side suits him best at the time, and that’s why I like him so much. Yes, he will help expel the angel out of Sam, but he’s going to get something in return. It’s nice to see him back in fighting mode again, or manipulation mode is a more apt description. He will campaign to regain control of Hell and he will do it through smooth talking and big promises. 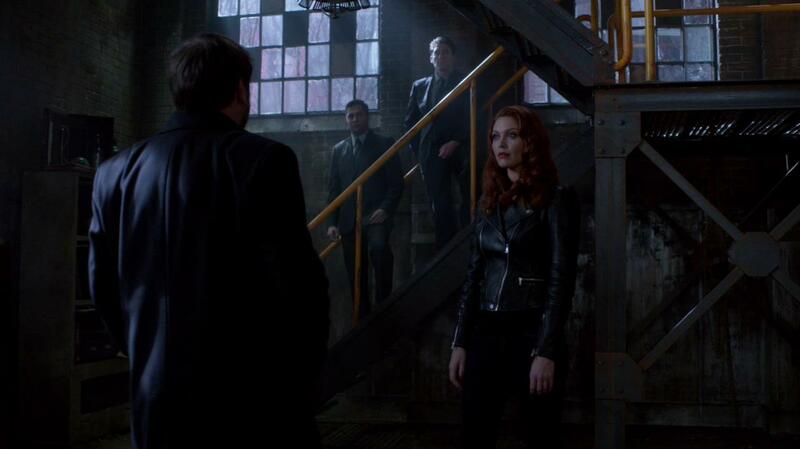 Unlike Abaddon, who uses fear and fighting to get her way, Crowley is someone who uses his words to achieve success. It’s going to be wonderful watching these two face off. They are worthy opponents. And then we have the Winchesters. The messed up, co-dependent, break-my-heart Winchesters. Dean sacrificed everything in order to keep Sam alive. Even though the younger Winchester was ready to die, Dean was not ready to let him go. And therein lies the entire issue of why they destroy everything they touch. No matter what the cost, they will always sacrifice the world in order to keep each other safe. They cannot live without one another and they don’t want to comprehend a world where that’s a possibility. Yet, as we saw in this case and many times before, they don’t think through their immediate decisions, which always turn out to have long-term negative consequences. 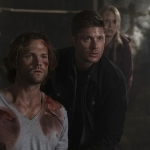 The world is going to burn, but at least the Winchester boys are going to be together. Well, eventually. Right now, they have to go through the angsty break-up stage of “I’m no good for you, we have to be apart.” But long-time fans know the drill. These boys are too reliant on each other to stay apart for long. We just have to be patient until the reunion. While they are separated, though, Sam needs to get to work on having his tattoo replaced. Matching Winchester tattoos are a staple and I don’t want to think of Sam being without his. Besides, he’s the demon magnet who keeps getting possessed. He needs all the help he can get. Until the Winchester boys are back together, living the domestic life in the Batcave, we wait and worry. 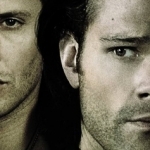 What danger will Gadreel and Metatron bring to the world? How much damage is Abaddon going to do? And will the boys ever get out from under that big pile of guilt that keep weighing them down time and time again? Answers are hopefully coming soon. It’s going to be an interesting ride.